(1) It is basic desire of every man/woman to own a house and this sector absorbs money from parallel economy in India (black money) which is huge. Now many companies with greater management quality and corporate govt standards has already entered into this sector for example: Tata, Godrej, Mahindra, Piramal, Arvind, Emami etc apart from reputed international backers for property portals like magicbricks, housing etc which likely to enhance transparency and pricing even further. (2) Already prices of land in most big cities are out of budget for most folks to able to afford an independent home, so they have to go for apartments build by reputed developers. Many middle class folks spend a significant portion of their life earnings into home buying happily. (3) There are many push from govt side to support housing and interest benefits enhancement , REIT listing norms and removal of DDT tax, smart cities investment likely to push up land prices on those cities and players with existing land bank can get significant advantages apart from upcoming real estate bill and establishment of real estate regulator. Also upcoming bullet train between Mumbai and Ahmadabad can significantly push up land prices in those routes. (4) Real estate project complexities is increasing considerably that now no much chance for fly by night operators and it is not sufficient to have just political connection to survive in this industry and improvements in customer service is visible. (5) Some of interesting listed companies can be Ashiana Housing, Poddar , Arvind Infra, Godrej Properties, Phoenix Mills, Prozone Intu etc. It is believed that real estate follow a cycle of 18 years from peak to peak and prices stabilizes after 4-5 years of the cycle and then upwards move start again which is likely to continue till 2025 as last cycle peak was in 2007. Also real estate is a highly profitable business with gross margin upwards of 40 %. I think 4 sectors which had given huge returns in the latest rally starting from 2002-03 to Jan2008 will not even participate in next sixteen years, because as a rule whenever shares of these sectors increase by 40 to 60% distribution will happen and will continue, till the holdings of all HNIs and so called operators(who made huge money in these sectors) will become zero. The sectors were Realty, Infra, Power and Metals. Someone like you truly embodies the VP Collaborative spirit - and obviously, the great spinoffs that we experience - as we start taking public responsibility. Thank you for helping inspire revival efforts of this important thread (The financials story will also be put up soon, I am assured). What you have delivered on ENIL is beyond what was asked. This is as complete an individual effort as it gets. Guys - take notice, and take interest. Time to read up and dig deeper to be able to do some justice to your effort. Please allow me to look at competitive landscape. What you have considered is Linear competition, i.e. existing players who play the same game. wilted when Digital photography came into the arena is well known. One possible source of competition can be from Cellphone service providers. Remember cellhone services started with just voice a few years back, then data at 9.6Kbps, then 144Kbps, then 2 Mbps, now much higher. The ultimate resource both radio stations & Cellphones use is air spectrum. Both do not own content, but need to pay royalty. go in for paid channels on the lines of Cable or Sat TV that is, digital encrypted signals. Mobile phone operators on the other hand already have a captive subscriber base and have already encrypted digital channels with enough bandwidth; so what if they decide to offer “Radio-as-a Service” for a small extra fee? Cellphone companies can charge now for ads ( just like Radio stations) and also charge their subscribers for “Radio” service. Technological disruptions can be swift game changers. Its certainly a outside threat for ENIL. I have checked with the radio scenario in Singapore, which has the best net penetration and connectivity in the world, years ahead of India . Listeners in 4 wheelers still tune only to the FM stations, radio is still relevant. This disruption threat in IMHO is a decade away, at least in India. It must be hard to compete with something that’s available for FREE. The news segment is yet to be opened for private radio players. If that happens, Enil will be the biggest beneficiary. There;s another technology - Satellite Radio. It was tried in India many years ago ( Worldspace?) and did no do well at all financially and is now defunct. The OPM, ROE and NPM show a pretty healthy business, and this is a paid service that competes with free radio stations. I have not gone through their detailed AR, but some quick math seems to reveal that the bulk of their revenues comes from subscribers, rather than Advertisement. It is always good idea to keep in mind the threat from alternative product/services/technology. That helps one take a considered view about investment including risks. There exist a threat from satellite radio such as Sirius for FM channels. Almost everybody is accepting it. The question however is that what is the probability of same model succeeding in India? And even if it were to succeed what is the timeframe we are looking at in terms of market maturity for such business model to succeed? As far as my limited understanding goes, in India, we have yet to see a business model of a content provider succeeding in a big way based only subscription revenue. Leave aside the “voice only” content, even content providers of video content and even full length films are struggling to gain critical scale on Subscription only model. Thus, we will have to wait and watch, and observe how these business models evolve and at what pace they evolve. My hunch is that they will first evolve in richer content class (Video/Movies) and then transgress to “Voice”. Thus, there is definitely some time before we can see it as real threat. If you listen to ENIL concalls, the threat from satellite radio gets asked almost every alternate quarter. However management sees that as only distant threat, if at all. ENIL’s MD gave a wonderful analogy, he said that when ipods were a rage (2003-04), everybody was telling us that FM radio is doomed and iPod will take away large part of target audience from them. 10 years later, iPods are scarcely seen (merged into other devices) while FM radio is thriving in all respect. I’ll cover SiriusXM vs FM part, as it is in US. Even when Sirius or similar sat radio reaches India, it may not hurt FM much. I had and have, subscription of Sirius radio, here in US. Of course, have used FM as well. I can confirm, that Sirius do NOT have advertisements at all. So all/most revenue would be subscriptions. 1- Audio Quality- is excellent, you’ll not want to go back to FM, once you listen to Sirius. 2- Content- Variety and quality of content. You’ll get local (very less) /national/international news, comedy, music of all genres, celebrity channels etc etc. 3- Coverage- As Arun explained, But I’ve never faced issues with FM reception as well. 1- Free- Nothing beats Free, which FM is. Most users are ‘casual’ ones, may not want to add monthly recurring subscription expense, to move to better quality/content. Sirius discounted rate is $5-10/month, that looks cheap, but not so when compared to, say Netflix at $8. 2- Local-ness- Sirius is not local. FM is, very much so. Dhwanil already covered, how. 3- Habit- You are ‘used to’ FM all these years. 4- Best while driving- What else would ‘mass’ public listen to while driving? No close competition. With urbanization, driving times are getting longer. 5- Easy Access- Find a car that does NOT have an FM radio. Sirius needs a separate device, if you have an older car. Can’t imagine anyone (very rare) purchasing and installing SiriusXM radio in older car. Of course SiriusXM looks to be a great business, but remember that it trades at 44 PE in US. THanks for sharing the gr8 work @desaidhwanil. One question on valuation of ENIL: The entire radio market size is Rs1,500 cr. whicle the market cap of ENIL is Rs 3000 cr. Is this a red flag? Or am I comparing apples to oranges? Plz throw some light on this aspect. Thanks! First of all I want to introduce a paradigm on how we think about this business. The business model of the radio is such that, the listeners are the service/ goods, and it is the advertisers who are the customers of the Radio service, i.e. the consumers of radio service are not the listeners. The raw material is the content owned by music companies and the wisecracking RJs. In other words, this is a B2B model! More listeners means more output given the same raw material. When will the customers pay the channel more? When they know the actual listener base, i.e. “goods and services” is of a certain quantity and quality (number and demographics). The cost of the channel includes the royalties to be paid to the music companies for the content. I do not believe this cost is captured in the template. So we have periodic capex (radio waves, and equipment) and Opex (salaries of employees and royalties to content owners). Now Sirius on the other hand, is a clear B2C model, with revenues directly proportional to number of subscribers and their monthly subscription. Listeners are the actual consumers – that pay for the goods/services which is the content purchased from content owners. We can now think in this new paradigm, between a B2B and a B2C model, which one is more predictable? Which one is easier for a company to pass on costs? Where does a company have better pricing strength? Increasing 1$ per month for a subscriber or asking for 10% increase per advertiser? On the local content, yes, undeniably FM wins hands down, but how much of it translates into realizable and proportional revenue? In other words is there a relationship between number of listeners and revenue and profitability? For every local station needed to gather local listeners, there is a linear cost associated. Being free, having habitualized listeners is all fine, but the key question from a business perspective is does any of the local-ness translate into predictable revenue & profit? opposed to FM which has a linear growth, albeit it can be a high ramp. About Sirius trading at any particular price, I am not even considering it, since the discussion is more about the margins and how profitable the business seems to be, rather than the multiple the market assigns to this business. So much for making the bear case for FM stations. I surely learnt new ways of thinking doing this exercise and thanks to Dhwanil & Rajul for affording me this opportunity ! whether the business has the strength of negotiating with its suppliers. I guess I am looking to give a bit of Porterish color to the template. Innovation is key to sustain and grow… Disruptive technology at its best! Never forget your combination code, or need keys again for your valuables! 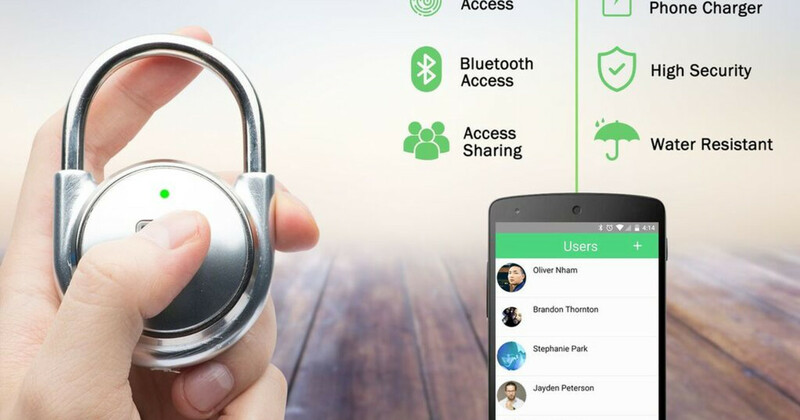 | Check out 'TAPP: The World's First Smart Fingerprint Padlock' on Indiegogo. First of all - a big thanks again for bringing to our attention a business that looks very promising to dig deeper into; as also striving to bring everyone on the same page quickly - through each of your insightful responses. c) Second/third frequencies will have significantly higher margins due to lot of shared cost (infrastructure, overheads, marketing etc). This will mean, overall margin on steady state basis will be much higher than current EBIDTA margin of 36%+. This certainly looks like a “differentiated” business in an industry - doing consistently well in an industry, where others have struggled/struggling. In a sense, it is walking a path that others should be knowing well, but For some reason aren’t/choosing not to/or, cannot. That is the first point that attracts to me to look deeper - to find the answers to our next set of questions. b) Sustainability of competitive advantage - has been the most consistently profitable, and looks to have advanced its lead over competition with latest phase III auction execution - advantageously placed in most of the growth markets; strong support and recognition that it garners by being a group company of the Times Group - and its association with over 25000 advertisers - that group advantage should continue to aid the company’s future growth plans. Hard to envisage who/what can dislodge this business from its strong perch - “isko hilane wala kaun hai”?? 2nd frequency in 9 out of 13 top cities (70% of FM industry revenues); the nearest competitor has bagged the 2nd frequency in only 2 cities?? this seems like a huge huge lead - even consolidation among others may not be able to take this away. How much of a strategic advantage is this?? the 3 Metro 2nd licenses (Delhi, Mumbai, Kolkata from Oye stable) - still not allowed by MIB and under litigation - are of strategic importance again - this is more than an optionality in near future - do we have a way to put a number to this? International market launch in UAE, any sense where this is and any timeframes when international could be significant? I am wary of government/regulatory stance changing suddenly - like it did in the case of Telecom - where license augmentation/renewal terms completely deteriorated the picture; FM Phase III has just been concluded, but what about the earlier licenses? Perhaps the impact of this in FM radio case is far away?- as Top 13 cities - constituting 70% revenues - license renewal is still many years away?? Implementation of an accurate nationwide measurement mechanism for FM radio that will evaluate returns across FM stations - without something like that - how strong is the lead? if something like this is in the offing - can it bring disruptive changes in advertising patterns form broadcasters? The advertising industry fortunes are linked closely to the economy. When economy slows down - to manage their profits better, advertisers will cut advertising spend. And when the economy lifts, advertisers start putting monies back with a lag effect. In many ways, advertising is the first to be cut, and the last to be re-instated. How does FM advertising behave in that context? in 2008 industry was still very nascent - now the impact could be much more?? Need to chew these for a few days more. Renewal of existing licenses: First the bad part: Government policies/regulations remain one of the most important risks for ENIL story…and for that matter the whole industry. We have umpteen examples in the past where government, in its own wisdom, have come out with regulations that has changed the economic characteristic of the whole industry for worse (i.e telecom) or disincentivised the private investment in the sector (oil & gas). Is there a likelihood of something similar happening in Radio? we surely can not rule it out if we go by the history. The good part: Renewal for all its existing 32 stations happened along with Phase-3 and the licenses for all the stations (barring Goa, which ENIL relented due to unattractiveness of the license commercially and/or strategically) for 15 years. That means, at least for 15 years, we can expect a stable regime for existing stations and license fee has been paid for it. So, the risk, if at all, is in very distant future. Measurement mechanism: I think you have captured a very relevant and yet often ignored point. This is very essential for radio ad market growth. Typically, in all media segments, measurement systems (be it TRP, readership or listenership) acts as advertising currency and accurate and reliable measurement provides advertisers confidence about the efficacy of the ad spend that they do. At the moment, there is no reliable and scientific measurement system for radio listener ship in place. Thus, whatever leadership that we are suggesting in the investment hypothesis is not based on consistently reliable, objective and upto date measurement system(i.e the latest listnership data is available from IRS 2014…which is two years old and the IRS measurement philosophy itself is challenged by many industry players). If, such objective measurement system does not evolve in near to medium term future, with current expansion of Phase-3 to 800 odd frequencies, it will be very difficult for advertisers and media planners to make informed decisions (ROI generated on ad spend) on adspend and allocate higher budget to radio as medium. E commerce share of advertising pie- Amongst all risks, I see this as relatively lower risk and transient in nature (high probability, low impact risk). E-commerce is the fastest growing segment for most of the radio companies including ENIL. As you suggested, it constitutes 10% of their overall revenue (almost doubled in a year). Going forward, it appears inevitable that consolidation will happen in the e-commerce industry and smaller players will fall out. This will have an impact on the ad spend by them as well. However, if you listen to ENIL management, they are very cognizant of this fact. MD is very categorical that spend by e-comm companies is going to go off cliff in near term (in his opinion 6 months). At the same time, they see that compensated by much better traction in telecom spend, consumer discretionary and auto. Radio, traditionally, has been seen as more effective medium for discounts/promotions than for branding (Where visual impact/images are more relevant), though that too is slowly changing.However, for the time being, if we accept this notion, In times of economic slow down, companies run number of promotional schemes/campaign to spur the demand. This helps the radio players. Media planners, due to constrained budget, look for medium where the cost of reaching customer is lowest per rupee spent. Radio, among all medium, is the best bet for them. Thus, I feel, economic slowdown may less pronounced impact on ad revenues than other mediums like print and TV. I hope I am able to address some of the points you have raised.